Successfully Added Car Digital TV DVB-T Receiver - Video + Audio OUT to your Shopping Cart. 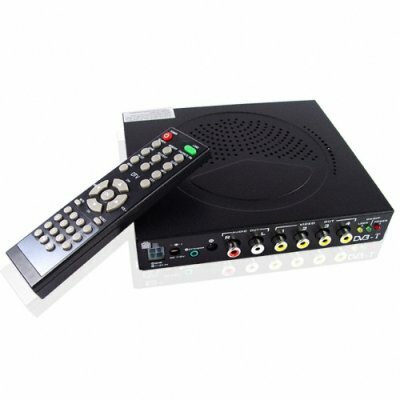 DVB-T digital receiver box for receiving free digital TV directly in your car, with 4 RCA Video OUT and and R/L Audio OUT for connecting your choice of such devices as a car DVD player or a car LCD screen. What better way to ride into the future than installing your own DVB-T tuner in your car and choosing from the hundreds of channels already provided, and the hundreds more on their way soon. With such cutting edge digital TV functions as EPG program guide, 9 channel preview, teletext, and a customizable OSD menu, your car will become a complete digital media center. Pair this car audio video accessory with one of Chinavasion's many quality Car DVD players or car LCD screens for making your own complete in-car entertainment system. Get yours today! Can I use this DVB-T Receiver in my country? DVB-T is available in many countries. Check to make sure you can use this in your country on this page.